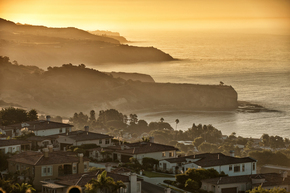 In December, 2012, encouraging gains were seen in California’s housing market, including both home prices and sales, with a double-digit increase in the median price posted for the sixth consecutive month, the California Association of Realtors (C.A.R.) reported on Tuesday. C.A.R. President Don Faught said that one of the significant factors causing the increased residential real estate transactions was a heightened urgency in December to complete the sales of relatively high-priced homes, generally those with a price tag of more than $500,000, before year’s end in order to sidestep an anticipated capital gains increase thanks to that “fiscal cliff” about which you might have heard. The median cost statewide for an extant, detached single-family home in December was $366,930, a 5 percent jump from $349,300 in November, and a 27 percent increase from the revised $288,950 posted in December 2011. This upward trend is not new for the Golden State. In fact, it marks the 10th straight month of yearly price gains and the sixth month in a row recording double-digit annual increases. The considerable rise in home prices came about primarily because of the substantial climb of comparatively higher-priced homes and other properties, while constraints on inventory constricted to some degree the amount of lower-priced home sales. C.A.R. said it does not expect a continuation of the high pace of price increases into 2013. Disclaimer from C.A.R. : The County MLS median price and sales data in the tables are generated from a survey of more than 90 associations of REALTORS® throughout the state, and represent statistics of existing single-family detached homes only. County sales data are not adjusted to account for seasonal factors that can influence home sales. Movements in sales prices should not be interpreted as changes in the cost of a standard home. The median price is where half sold for more and half sold for less; medians are more typical than average prices, which are skewed by a relatively small share of transactions at either the lower-end or the upper-end. Median prices can be influenced by changes in cost, as well as changes in the characteristics and the size of homes sold. Due to the low sales volume in some areas, median price changes in December may exhibit unusual fluctuation. The change in median prices should not be construed as actual price changes in specific homes. This is filed under Market Watch.